Very good story of God's faithfulness. Thousands of years ago, God called an idol-worshiper named Abram to follow Him to a new land. For the rest of his long life, Abram (or Abraham as he was later called) followed God. Though he messed up sometimes, he always got back on track, and God was always faithful to him, no matter what. Sin is shown as sin, and obedience and faith are shown as very important, even when they are very difficult. Ishmael is portrayed as a bad kid from his babyhood, and Isaac as an almost-perfect child, without an apparent reason for the difference. At one point, Ishmael decides he hates everybody. God's conversations with Abraham are a major part of the story, and He is shown to be working in Abraham's life. Sometimes He talks with other people, and occasionally He or His angels are seen as well as heard. Idolatry is discussed. Child sacrifice is discussed as part of the pagan religion in Ur. Several deaths are mentioned briefly. Two characters almost die of thirst. Abraham is afraid for his life a couple of times. There is a battle, which is not described. Abraham almost sacrifices his son. Some cities are destroyed by God. A minor character turns into a pillar of salt. It is stated that there is danger in spending the night in the open in Sodom because the people are wicked, but the danger and the wickedness are never explained. Polygamy is mentioned as a cultural practice of the time. Abraham's "marriage" to Hagar plays a part in the story, and that leads to Ishmael's birth, but it is handled very delicately, so that children who do not already know how such things happen will not find out from this book. At one point Abraham kisses Hagar on the forehead. Two foreign kings have harems, which are referred to as their "collections of beautiful women." Sarah's brief stay in each of these is included in the story, but nothing sexual is mentioned or even clearly implied. Sarah's continued beauty into old age is cause for remark among her family. The concept of weaning is explained in terms suitable for a child. One character mocks another, though the words are not recorded. There is a footnote mention of circumcision, with no explanation of what that is. 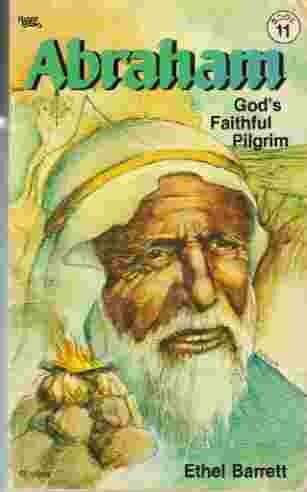 Abraham: God's Faithful Pilgrim is an excellent read for children. It tells the story of a great man of God in an understandable, clean way, emphasizing God's character and the importance of trusting and obeying Him, no matter how hard it may be.